When we were considering what to carry at Archinect Outpost, our retail shop and event space in Downtown Los Angeles, the products designed by Sam Jacob Studio immediately sprang to mind. Though they were, without question, designed with architects with mind, they were designed to appeal to style-conscious consumers in general. Medieval Half-Timbered Façade in England. Photographer Unknown. One product in particular that borders the architecture/non-architecture line is the Half-Timbered T-Shirt. While its patterning and name indicate that its influence is the half timbered architecture common in Jacob's native England. Popularized between 1450 and 1650, half-timber façades were originally designed to strengthen the structural skeleton of 2-3 story buildings most notably in England (though the method did find its way to parts of China and Japan). As half-timbering has been popularized in the modern era, its function as structural bracing has been eliminated, leaving only the aesthetic qualities of the style. The shirt designed by Sam Jacob, therefore, is in the spirit of its modern reincarnation, more as an aesthetic choice than a structural one. Nice! But still just a t-shirt, not architecture. our insulation CAD standard is magenta. I may need to change our standards back to a red pen just for this scarf. 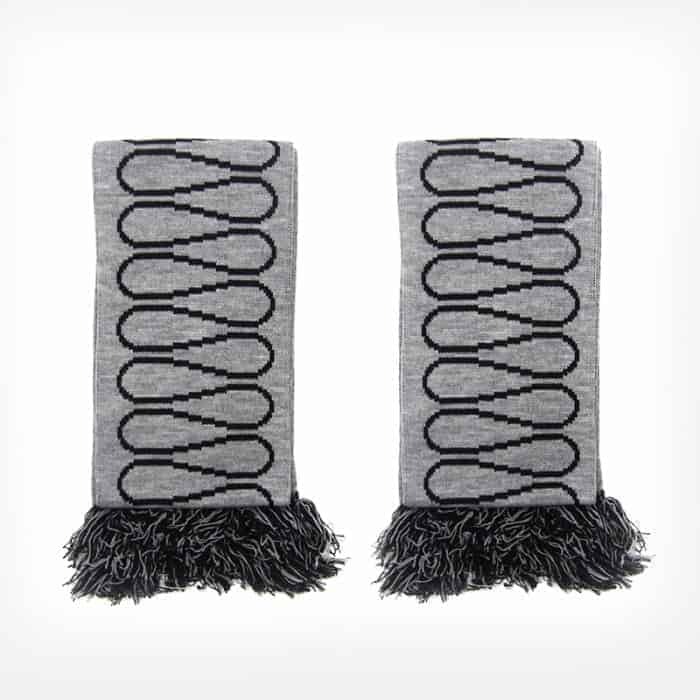 We sold out of those scarves too quickly at Archinect Outpost. They were a super popular Christmas gift. I went and checked after I posted my comment. Winter is done here as it was only -21c this morning. so I think I'll survive. I thought we weren't supposed to like ye olde inspired stuff.